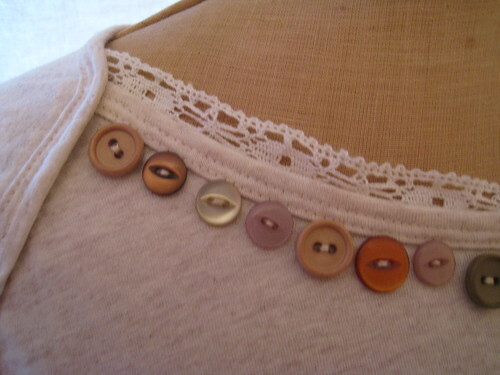 adventure number twenty three: buttons, buttons, buttons… | sew happy nice! 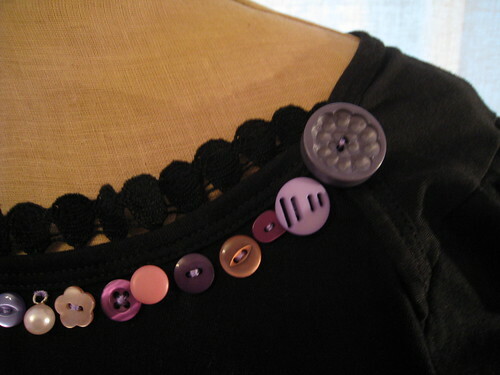 inspiration: i just wanted to show off a gift of lovely purple buttons which resulted in the black t shirt. Then the cream t shirt which I had never worn looked so folorn I decided it should get the same treatment!